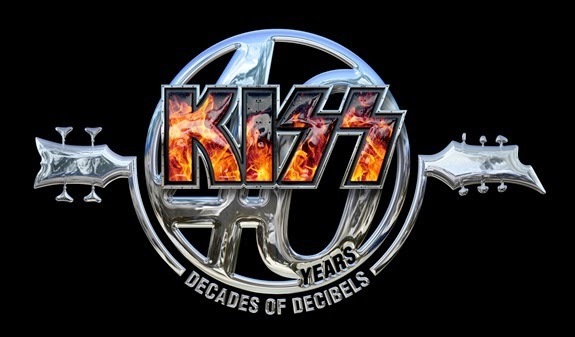 A new compilation KISS 40, a 2 CD set featuring forty tracks spanning KISS's incredible forty-year recording career. This set includes one track from every major album release (studio, Alive & hits collections) plus three live selections from the 2000-era and features the band's biggest songs including rock and roll anthems such as "Detroit Rock City," "Love Gun," "Beth," "Rock And Roll All Nite," "Beth," "Psycho Circus," "Forever," "I Was Made For Lovin' You." "Lick It Up," "Heaven's On Fire" and "Hell or Hallelujah." First time commercial CD release live recordings of "Deuce" (from 2004 tour), "Cold Gin" (from 2009 Alive 35 tour), "Crazy Crazy Nights" (from 2010 Sonic Boom Over Europe tour) and the previously unreleased 1977 demo of "Reputation" round out the set for the KISS Army.